Rotary Settle - welcome! Please scroll/swipe down through this page to find out more about us, in addition to the pages linked in the menu, top-left. Summer Bookstall - great news!! ... all the books are free! Hello and welcome, you’ve found SETTLE ROTARY on the web. We're a friendly bunch of around 20 people who volunteer in the Settle community, working on projects and raising money, as well as enjoying informal social activities throughout the year. If that sounds like something you’d enjoy, we’d like to meet you. We're also part of a much bigger organisation, with a warm welcome in every city and the capacity to make change on a global scale - such as eliminating Polio. If you think you might be interested, please browse our website to get a better feel for what we are about, view the video at the bottom of this page and maybe use some of these links. For more general information about Rotary membership, click "Join Rotary". 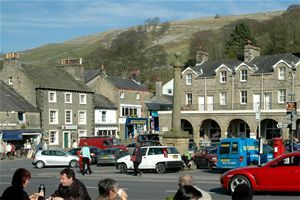 SETTLE ROTARY CLUB is based in and around the picturesque market town of Settle, in the Craven area of the Yorkshire Dales, an area noted for its glorious scenery. 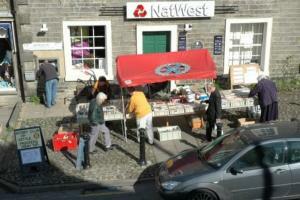 More about Settle. 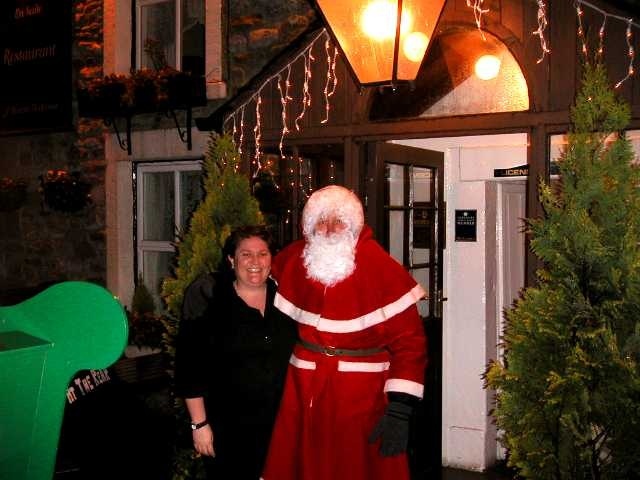 Santa Claus is back in town!! . . . .and villages! 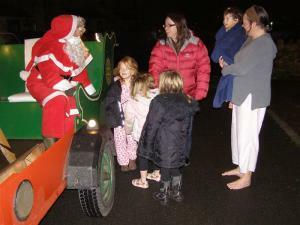 Yes, once again we have been assisting Santa in his attempt to visit every child in North Craven before Christmas Day. The showing of this emotional and uplifting film of the true story of a polio sufferer attracted about 100 people to the Victoria Hall in Settle. Donations to Polio Plus -Rotary's fight to eliminate Polio worldwide- at the end of the show raised an amazing 558 pounds. This ever popular event is coming up fast -get your tickets from any Rotarian or Sec. David Blackburne on 01729 822445. £20 gets you a 3 course meal with each course at a different pub, (these include Gamecock, Craven Arms, Lion, Hart's Head, Courtyard, Maypole, Boar's Head, Italian, Talbot, New Inn) The event starts at Giggleswick School Dining Hall at 6.45pm and after a free glass of wine and a raffle you will discover your set of 3 pubs to visit. £5 of your ticket price will go to this year's chosen causes, Settle Swimming Pool and Rotary Charities. The 2019 Settle Saunter will be on Sunday 11th June. This event for runners, walkers and strollers offers 3 routes through the stunning local countryside with lengths of 10km, Half Marathon and 23 miles. Entries can be made online at www.bookitzone.com or via the Saunter pages on this website. 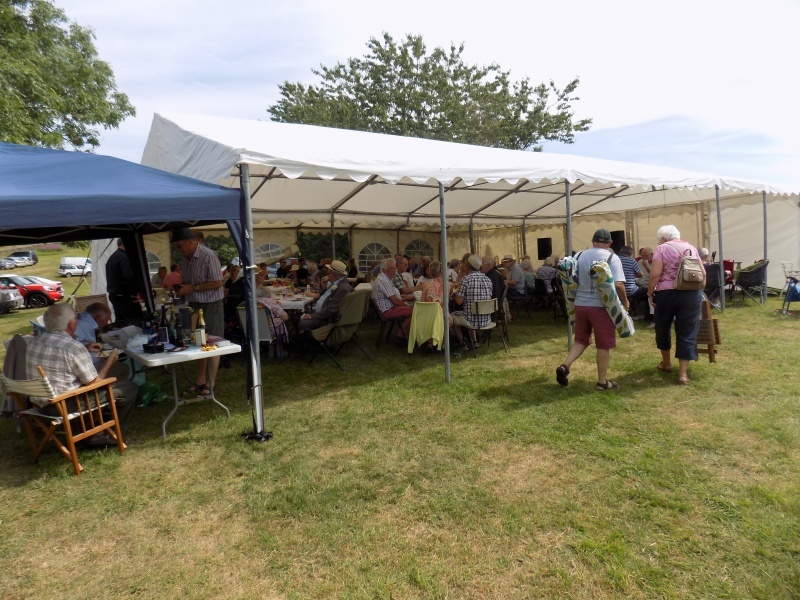 We were blessed with excellent weather and at least 150 people enjoyed a relaxing Sunday in the shade of a large marquee eating the wonderfully tender hog roast supplied by Adrian Procter and the delicious puddings provided by members and their partners. The Settle and Giggleswick Brass Band were on great form and also Clive and Spencer on vocals and saxaphone - there was even some dancing! With a raffle and a well stocked Bar the event raised £1752 for Cancer ResearchUK -we have given this charity £5500 this year. It's a great way to find out what we are all about. Please use the "Contact Us" link above to get in touch. Settle Rotary Club supports many local causes through its fundraising activities and we are very grateful to the residents of Settle and the surrounding neighbourhoods for their generosity. 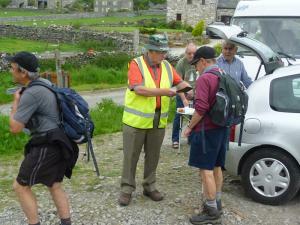 To request support for a local "good cause" please send requests to our Secretary, 3, Tems Side, Giggleswick, N.Yorks. BD24 0BS or use the "Contact Form" tab above. We also support international humanitarian appeals and projects in areas such as disease control, education, sanitation and clean drinking water. Thinking of booking a cottage holiday? Use the link below, save yourself some money and help Rotary to help others.